shinichi1977 wrote: I did bring up The Departed for that exact reason, and it'd work with Rei, but he's stingy on giving out new information. Scotch on the other hand... unless his older brother enrolled to be a cop later on, which is sheer impossible in Japan due to honor and tradition, bound to firstborn sons, to put it mildly, Gin would have always suspected he has the stench of a cop on him and had gotten the boot faster than Rye. That being said, with sensei working 100 hour weeks to literal exhaustion, I don't think he fleshed it out so far as you mention it, my best guess is he wanted to emulate Beat Takeshi and his yakuza movies. Yeah, it seems to be criminal logic to avoid having those with police familial connections in their ranks—again, unless the BO’s explicit intent with these two in particular was to have people with such background and potential conflict of interest on their side, and they believed that Rei has been on their side from the start (and, until his cover was blown, believed that Hiromitsu was on their side), it seems obvious that they would be under more risk of being found out than Hidemi/Rena/Kir, and that the BO would be ready to pull the trigger on them at any provocation (and something indeed did happen with Hiromitsu). And even if there was an attempt with these two in particular to create double agents from the early stage, it’s still quite a risky venture for the secrecy-based BO to attempt this—and in the end, it’s going to bring about their downfall. shinichi1977 wrote: My thoughts on why he's holding on multiply folded and doesn't get me liked among fans. We know that he hates writing in English (even though he just has thousands of eager fans who'd readily jump at a chance), and I'm guessing as he gets older, he likes the toll it takes creating complex stories less and less. If Shinichi were real, we were the same age, so I do get how demanding it is. Almost like a natural high where working on the idea gets you on on the uphill slope on the rollercoaster, but the crashing down phase comes earlier year by year. He still deserves to be called Superman though. I've only worked an 80-hour week once in my life and was exhausted. I just wonder what exactly this new work schedule is doing for him—when he’s now coming out with less than 20 files per year and less than 7 cases per year. Will the decreased output reduce fatigue? shinichi1977 wrote: The story I initially started out with was a quite simple affair and I didn't plan further than one book. Then I encountered DC and as my way of thinking expanded, so did the universe in which it plays. Not every character is already physically written, some are still stored in my "brain palace". In short, it's about a former military investigator turned insurance detective who makes it his mission to find and neutralize a syndicate responsible for his fall from grace and his conviction for murdering his wife. Some clandestine operatives within the matrix model of the syndicate try to erode it to support their own plans, so the protagonist has an on again off again relationship with them while also being on the run (part of his betrayal was that he now has the face of a traitor who used to be an agent of the syndicate). I plan to place it somewhere between a consultant, a traveling helper and a right previous wrongs type of person in a non-linear storytelling fashion. The catch is though of course, that publishing isn't an easy business so to get the in, I do commission work. Well, best of luck in navigating that business to see if you can forge progress towards getting the story out there, in such a format. How long have you been working on this, and how long do you think you are from reaching the next big stage of the process? shinichi1977 wrote: On a personal level, I dislike dangling plot threads. At least with American shows, I know that overarching plot will move forward in a midseason or a season finale. It might be I'd return to something a hundred stories later, except that's something I plan to do from the get-go. I surmise that Gosho, like 19th-century writers who also published chapter by chapter, actually does come up with something for that story and then moves on. I think it was Singapore interview, where he was reminded Akemi sent a P.S. to Akai and if we will get to see it. I'm not a betting man, but I doubt he wants to feign incompetence and he genuinely forgot he needs to write that. Of course, seasoned writers know, if you leave it vague enough, you can fill the content and connect it to something else. That's pretty much what the new showrunners of Lost did when American Gosho (J.J. Abrams) left them after setting up mysteries to which he did not leave answers to. I've always thought Heiji was brought in so that Shinichi can prove he's a better detective, but also further Shinichi's trial to become better than his father. Alongside him, other regular characters started to appear less, but yet others like Genta and co got promoted to darker storylines. The Raven Chaser played it for laughs, but yes, Shinichi does indeed already know so many characters that even one Freudian slip would suffice to confirm he's no kid. That kind of progress is amiss here. Yeah, it seems like a moment to moment kind of approach, with him, in one moment, deciding to address one or more long running elements that he last addressed a while ago, and, then, in another moment, addressing another long-dangling plot thread. He may get the idea, one month, to finally focus on one element, tie that to the main plot of the arc, only to then switch gears in the next month. I do hope, though, with what he’s done since DC hit quadruple digits (Shinichi & Ran; Reyna Karasuma; the Miyanos; and what appears to be setup for a confrontation between Rum and Shinichi’s/Conan’s oldest (his parents) and newest (Security Bureau) allies), that we start seeing an even more increasing raveling together of even more elements that haven’t been addressed in a while. I do think that there are three big plot threads dangling in front of us, a)Case of 17 years ago, Amanda's story, Kohji's story etc. b) Back-story regarding Kuroda's accident and white hair and Rumi's scars. c) Rum's current mission and the cover blow-up of Scotch. DCUniverseAficionado wrote: And how long are the breaks taken by Mr. Hunter x Hunter? Are they 9-16 weeks, as well? Looking at this, I think DC will begin to match HunterxHunter, in terms of files/year (15-20 files per year), but I don’t think what happened to HunterxHunter in 2015 (0 files per year) will happen to DC. Zerozaki4869 wrote: I do think that there are three big plot threads dangling in front of us, a)Case of 17 years ago, Amanda's story, Kohji's story etc. b) Back-story regarding Kuroda's accident and white hair and Rumi's scars. c) Rum's current mission and the cover blow-up of Scotch. Question is, just how are they going to come together… just how soon are we going to get a confrontation and the reveal of just what the Kudō/FBI/Security Bureau plan is, and how Kanenori, Rumi and the other Amal’s factor in? To answer your question on decreased workload... it definitely does. I know firsthand that writing in certain situations is like catching a bug, the story demands itself to be put to life asap, which in turn forces the creator to do nothing else. My worst case was spending 8 hours solving a mystery without breaks, including rehydration and other, more personal needs. Such an obsession needs to be kept in check. My story didn't move along the idea collecting phase for the first decade as my life was just as hectic then as it is now. Yet to show, how much has changed... when I started, 9/11 did not yet exist, Sudan was one country, smartphones and Facebook did not exist, but most important of all, there was no such thing as "alternative facts". I dread the day when it becomes a literary reality that a culprit can get out of a charge by claiming the evidence is part of a conspiracy, and they shouldn't be examined on their own merit but on who supplies them. I commented before on my disappointment on how plot threads come together to form a hand wave. The most furious I ever was when he wrote Kir being a CIA agent. Knocking on the speedometer of the bike was such a brilliant setup, only to be let down by introducing a lie detection technique not exclusive to the CIA (in fact, it's part of popular culture), Kir reciting a motto (which, again, is public knowledge, plus actual CIA agents always blame the leaker, not their failure). Furthermore, the military industrial complex is complexly interwoven that former operatives of the state can and do run private enterprises, so there was, until Jodie confirmed it, zero evidence that supported Hondou was CIA. Before I get shut down that it's nitpicking... please bear in mind he spends weeks doing research and when he presents case related clues, he does his homework, so such a failure compares to this more than how I see it. There's a difference between writing a generic shonen story where you can forget details and writing mystery fiction that just happens to be in the manga format. So I deeply hope by caring more for himself he'll be able to care about this too. For the record, I don't buy it that the Nagano cop who caught onto a single slight change in determining who Kid disguised as never registered the changes in Scotch. The fiction behind the undercover genre flatters people in the job with the idea of them being master spies, but the reality is more gritty. A time limit on such a mission exists exactly for the purpose of protecting the asset before they become the legend. shinichi1977 wrote: To answer your question on decreased workload... it definitely does. I know firsthand that writing in certain situations is like catching a bug, the story demands itself to be put to life asap, which in turn forces the creator to do nothing else. My worst case was spending 8 hours solving a mystery without breaks, including rehydration and other, more personal needs. Such an obsession needs to be kept in check. Huh, so that really is the case—the story can take on a life of its own, by completely usurping the author’s attention. shinichi1977 wrote: My story didn't move along the idea collecting phase for the first decade as my life was just as hectic then as it is now. Yet to show, how much has changed... when I started, 9/11 did not yet exist, Sudan was one country, smartphones and Facebook did not exist, but most important of all, there was no such thing as "alternative facts". I dread the day when it becomes a literary reality that a culprit can get out of a charge by claiming the evidence is part of a conspiracy, and they shouldn't be examined on their own merit but on who supplies them. Yeah—attacking the messenger isn’t the same as attacking the message. I think those who would employ such tactics have conflated the two. It’s also a classic case of, “I have no standards, so I’ll destroy the standing of the people who do, and I believe that once that’s done, I’ll be seen as the most honest/trustworthy/credible, because I honestly have no standards.” The rest of us have to be wary of such cynical ploys. shinichi1977 wrote: I commented before on my disappointment on how plot threads come together to form a hand wave. The most furious I ever was when he wrote Kir being a CIA agent. Knocking on the speedometer of the bike was such a brilliant setup, only to be let down by introducing a lie detection technique not exclusive to the CIA (in fact, it's part of popular culture), Kir reciting a motto (which, again, is public knowledge, plus actual CIA agents always blame the leaker, not their failure). Furthermore, the military industrial complex is complexly interwoven that former operatives of the state can and do run private enterprises, so there was, until Jodie confirmed it, zero evidence that supported Hondou was CIA. Before I get shut down that it's nitpicking... please bear in mind he spends weeks doing research and when he presents case related clues, he does his homework, so such a failure compares to this more than how I see it. There's a difference between writing a generic shonen story where you can forget details and writing mystery fiction that just happens to be in the manga format. So I deeply hope by caring more for himself he'll be able to care about this too. So one hint was fine, but three was too many? Or is it a matter of the pulse check technique and the JFK quote being, in your view, improper/inaccurate hints? And you would’ve preferred she was a private-sector infiltrator with a CIA background? shinichi1977 wrote: For the record, I don't buy it that the Nagano cop who caught onto a single slight change in determining who Kid disguised as never registered the changes in Scotch. The fiction behind the undercover genre flatters people in the job with the idea of them being master spies, but the reality is more gritty. A time limit on such a mission exists exactly for the purpose of protecting the asset before they become the legend. In my view, a hint is to be used best when it's directly tied to who says it, like your first signature quote. I don't think he (Aoyama) would have been as lax as to not recognize, how actual NOCs behave. It's more like he thought his Japanese fans won't think about it how correct it is as long as he can keep non-Japanese to a minimum. My beef with that is, if you set up a universe as intricate and complex, you don't have the luxury to handle certain things haphazardly. A certain martial art developed for a secret agency (like sambo for the KGB) is a way better hint and still can satisfy an audience that is mostly used to their own hemisphere. At other times lack of transmitting information is an issue too. For example, the very real lie detection only works on people who're not sociopaths, which in sharp contrast with Kir being trained to withstand the pain reflex test (thereby implying the also real torture technique used by the CIA which they practically stole from the KGB in the '60s), but by that stage the author was beyond establishing the character as a secret agent. I've said it before that Infernal Affairs and The Departed worked because those undercovers where actual cops made to look like disgraced fired ones with a criminal past, who were let go from the academy, not the actual force. Okay, let's handwave, it still remains in-canon that cops casually keep academy photos lying around in their lockers, and it was also in-canon that Vermouth broke into the police HQ to get the corresponding files of every case Mori worked on. In other words, Amuro, who by this time already was Bourbon and thus Vermouth's partner has committed a massive oversight along with Hiromitsu in not removing any reference to them. As for Komei, yes, I do say that a person this perceptive isn't one who can be easily be lulled into a change is insignificant. I get it that Aoyama presents it like a Japanese cop drama where the "caseload" prevents the otherwise sharp detective from knowing a friend is in trouble, except tropes change over time. Part of the reason undercover works is because the criminals themselves demand their soldiers to have a public life, and that involves nowadays social media presence and by extension smartphones, so this trope is practically dead except for remote areas. That's also how I can point out a massive glaring hole in the DC universe, the fact that PRISM is a thing and we know it exists since 2013. That no DC stories have featured facial recognition or the fact that Tokyo's former governor, who's a raging xenophobe, has introduced CCTV all over Tokyo post 9/11. We also know Aoyama is aware of this, as stories set allegedly shortly before Shinichi became Conan now features today's technology. Just an aside, my solution to that issue is the same as the one used in MI: Ghost Protocol, make them officially dead and the system thinks it's a glitch. I'm guessing Aoyama never bothered to write a NOC for Gin and the others, though Vodka being Genta's uncle would have been fun. All of that being said, my biggest mystery surrounding the envelope is the sender. It couldn't have been Hiromitsu, obviously. If it had been Amuro, his secret can't be exposed by Vermouth as per mutually assured destruction, so he could just disguise himself and retrieve it, and the same goes for Akai. The FBI could have just claimed Hiromitsu was a person of interest when he died, pretended to examine it and give it to Komei. shinichi1977 wrote: All of that being said, my biggest mystery surrounding the envelope is the sender. It couldn't have been Hiromitsu, obviously. 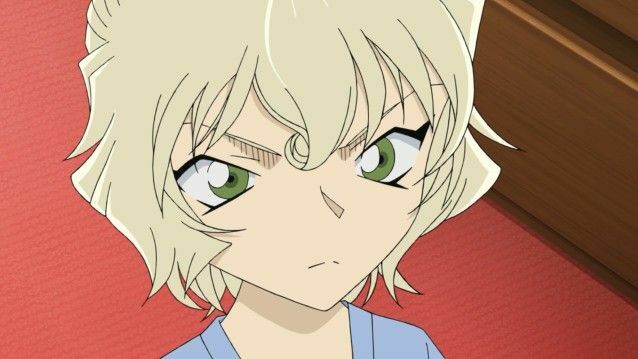 If it had been Amuro, his secret can't be exposed by Vermouth as per mutually assured destruction, so he could just disguise himself and retrieve it, and the same goes for Akai. The FBI could have just claimed Hiromitsu was a person of interest when he died, pretended to examine it and give it to Komei. shinichi1977 wrote: In my view, a hint is to be used best when it's directly tied to who says it, like your first signature quote. I don't think he (Aoyama) would have been as lax as to not recognize, how actual NOCs behave. It's more like he thought his Japanese fans won't think about it how correct it is as long as he can keep non-Japanese to a minimum. My beef with that is, if you set up a universe as intricate and complex, you don't have the luxury to handle certain things haphazardly. A certain martial art developed for a secret agency (like sambo for the KGB) is a way better hint and still can satisfy an audience that is mostly used to their own hemisphere. At other times lack of transmitting information is an issue too. For example, the very real lie detection only works on people who're not sociopaths, which in sharp contrast with Kir being trained to withstand the pain reflex test (thereby implying the also real torture technique used by the CIA which they practically stole from the KGB in the '60s), but by that stage the author was beyond establishing the character as a secret agent. So he should’ve known when to stop giving out hints—especially ones that stand out to the more knowledgeable ones of his audience? In other words, the knock/NOC hint was fine, but then he went too far, and/or didn’t think it out far enough, with the hints that came after it? shinichi1977 wrote: I've said it before that Infernal Affairs and The Departed worked because those undercovers where actual cops made to look like disgraced fired ones with a criminal past, who were let go from the academy, not the actual force. Okay, let's handwave, it still remains in-canon that cops casually keep academy photos lying around in their lockers, and it was also in-canon that Vermouth broke into the police HQ to get the corresponding files of every case Mori worked on. In other words, Amuro, who by this time already was Bourbon and thus Vermouth's partner has committed a massive oversight along with Hiromitsu in not removing any reference to them. Yep, and she could’ve—coincidentally or not—came across these, and there’d be trouble for him. The only reason there wouldn’t be is if him attending police academy was something the BO not only knew about him from the start, but wanted him to be there. As for Hiromitsu/Scotch, well… I suppose the same could apply to him, only the BO managed to find out that he was a triple agent loyal to the police—but that would’ve immediately cast aspersions on his fellow graduate, Rei/Bourbon. Knowing Vermouth’s secret would only give him a certain degree of cover—especially with Gin’s recent distrust of Vermouth. shinichi1977 wrote: As for Komei, yes, I do say that a person this perceptive isn't one who can be easily be lulled into a change is insignificant. I get it that Aoyama presents it like a Japanese cop drama where the "caseload" prevents the otherwise sharp detective from knowing a friend is in trouble, except tropes change over time. I guess we’ll have to keep an eye on the consistency of perceptiveness, here. 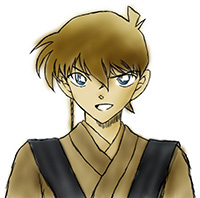 If he’s going to be joining Team Shinichi/Conan, just how much will he perceive, once he’s aware of the BO? I mean this: in non-main plot related cases, Shinichi never stops until he can nail a culprit with hard evidence. Helping him in this is, of course, deductive logic, which, for obvious reasons can't always be used in the main plot. In its places comes abductive logic (like concluding the probability that the only person capable of a perfect disguise and knew him as a kid could be none other, but Sharon). One important distinction to be made here from speculation is, that it's still evidence-based, and doesn't work like "I don't believe the planet to be millions of years old because people die, but the supernatural is eternal, therefore supernatural exists". For starters, Conan super effin' lucked out with seeing Eisuke's scar on his chest and without a possibility of examination or checking medical records, he has rightfully concluded (jumped to the conclusion) that it was a transplant a young age. Just by looking it could have been open heart surgery. Similarly, Akai super lucked out with finding the corresponding homeless person, who was a) Japanese, even though homelessness in a conservative society is fed by judgment based on status, thus a lot of homeless is an immigrant or a burakumin/Aino, b) never caught any street life sickness c) never gotten into an accident, or a fight and finally d) never froze to death. They should play the lottery. My beef isn't the number of hints, rather, that they used to be conclusive, but as time progresses, not so much. Actually, even before that, I've constantly had a beef with Aoyama violating Knox's 20 Laws. Two points in that declare, that for one, the sleuth's sidekick, who narrates if there's one, should be a tad below average intelligence so as to empower the reader that they come to the right conclusion by their own wits. The other is about not using facts that aren't easily accessible. To go back to Eisuke, those who guessed correctly, and I remember they were a very few, had to burrow themselves deeply into medical lexicons to verify his statements are valid. About Komei, I have a speculation, which is as follows: his character is being used to tie Bourbon's mission to Kuroda, and thus expand the local Japanese investigation into the organization. I doubt that it was Akai who scratched that the message onto the back of the phone. If it's Amuro he's likely done it such a way, along with sending it to Komei because he suspects, or knows, but can't prove that Vermouth had inside help. This last part is unfortunately total speculation, sensei has the nasty habit of forgetting important plot lines, so it would just make a lot of sense that a cop is a member. Heck, it'd be quite the story, that Kuroda's incident and Date's death are related because they both investigated Haneda's death and the perpetrator is a different cop. If I were funny, I'd say it's Ohta from Osaka, because draw sunglasses on him and he's Vodka, Tequila was his brother. shinichi1977 wrote: I mean this: in non-main plot related cases, Shinichi never stops until he can nail a culprit with hard evidence. Helping him in this is, of course, deductive logic, which, for obvious reasons can't always be used in the main plot. In its places comes abductive logic (like concluding the probability that the only person capable of a perfect disguise and knew him as a kid could be none other, but Sharon). One important distinction to be made here from speculation is, that it's still evidence-based, and doesn't work like "I don't believe the planet to be millions of years old because people die, but the supernatural is eternal, therefore supernatural exists". 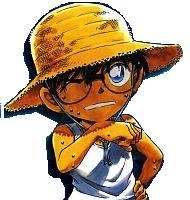 For starters, Conan super effin' lucked out with seeing Eisuke's scar on his chest and without a possibility of examination or checking medical records, he has rightfully concluded (jumped to the conclusion) that it was a transplant a young age. Just by looking it could have been open heart surgery. Similarly, Akai super lucked out with finding the corresponding homeless person, who was a) Japanese, even though homelessness in a conservative society is fed by judgment based on status, thus a lot of homeless is an immigrant or a burakumin/Aino, b) never caught any street life sickness c) never gotten into an accident, or a fight and finally d) never froze to death. They should play the lottery. I thought Knox had 10 commandments, not 20 (https://www.writingclasses.com/toolbox/ ... ve-fiction). 4. No hitherto undiscovered poisons may be used, nor any appliance which will need a long scientific explanation at the end. 6. No accident must ever help the detective, nor must he ever have an unaccountable intuition which proves to be right. 8. The detective must not light on any clues which are not instantly produced for the inspection of the reader. And—if I read you right—the point seems to be that Shinichi/Conan (and those allied with him) should not have the key findings to the mystery of the whole arc basically fall into his lap by lucky timing. Also, the truth behind Eisuke’s scar is something that most people wouldn’t get, and those who do would have to really delve into things, thus disempowering the audience by narrowing the scope of those who would figure it out, themselves. shinichi1977 wrote: About Komei, I have a speculation, which is as follows: his character is being used to tie Bourbon's mission to Kuroda, and thus expand the local Japanese investigation into the organization. I doubt that it was Akai who scratched that the message onto the back of the phone. If it's Amuro he's likely done it such a way, along with sending it to Komei because he suspects, or knows, but can't prove that Vermouth had inside help. This last part is unfortunately total speculation, sensei has the nasty habit of forgetting important plot lines, so it would just make a lot of sense that a cop is a member. Heck, it'd be quite the story, that Kuroda's incident and Date's death are related because they both investigated Haneda's death and the perpetrator is a different cop. If I were funny, I'd say it's Ohta from Osaka, because draw sunglasses on him and he's Vodka, Tequila was his brother. That is my assessment, as well. My hope is that he will get involved in the BO investigation—and I also hope this will get Kansuke and Yui involved, as well. See, and yet he constantly breaks these rules, almost as if he wants to boast I'm very smart (which he is) but I won't reveal anything until everyone can find out. CSI did it better, where Lost failed, if a fan theory is very popular, though within limitations, cater to your fans. Explaining how his rare type of leukemia changed his blood type was the particular long scientific explanation. I know, it was the radiation therapy, but still, only 5% of childhood leukemia patients have that type of illness. Bring it up beforehand, and I'm saying this as an author myself. My aim isn't to entertain myself, but to cater to other people, who have lives and thus a limited time of leisure, so engagement is key, which only comes from not underestimating intelligence, interest, and learnedness. The harder the case, the more pertinent clues, and not forgetting that a key to mainstream is assuming most people are not superfans knowing every obscure reference. That's why it bothers me because he didn't choose manga at random, he chose it because he wanted a wide young audience. Then again, if I've read it correctly he only spends 12 hours on a difficult case before writing... which could explain lucking out as Checkhov's narrative yadda, he either lacks the time or the patience to untangle the devil from the details. Doing that also helps to prevent looking back and realizing huge mistakes. In the same story where he lets Amuro declare the FBI agents may lack visas he nonchalantly gives the words to Camel that he's secretly Superman or Santa because he fought off the jetlag of a 16-hour flight and also got an emergency visa from State on the same day, Rikumichi offed himself. I've just rewatched the Scarlet Saga, and I remembered right, Sharon really says they've never found out his name, and here you have the custom of keeping pictures of academy graduates. If I had a better humor, I'd say his doctor should prescribe him watching episodes of his own show so as to not contradict himself or make the bad guys out to be incompetent fools. shinichi1977 wrote: See, and yet he constantly breaks these rules, almost as if he wants to boast I'm very smart (which he is) but I won't reveal anything until everyone can find out. CSI did it better, where Lost failed, if a fan theory is very popular, though within limitations, cater to your fans. So you’d prefer if mystery writers follow Knox’s Commandments, as opposed to not doing so? Yeah, he should’ve had a case that featured leukemia to act as a foreshadow. I frankly don’t think Gosho is doing this for an audience, and is constantly thinking, “Ooh, am I wasting their time?”. Since DC has been such a success, I think he just wants to do what he likes, in terms of mysteries, stories and characters, etc.—he goes with his own flow at his own pace, and if it comes off that he’s underestimating the audience, I certainly don’t believe its intentional, on his part. I can’t speak on how DC’s popularity in Japan has fluctuated and changed throughout the years, so I have no idea if DC is less mainstream in Japan, now, than it was in, say, 2003. Detail mistakes can pile up and really affect a series for some, so yes—it would be a good idea to at least get together a team of people who know all the lore/character arc details of your series to meet with and tell you when something you’re planning to do will contradict what came before. I suppose the only copies of those photos are privately possessed by very few people, and, from there, coincidence and luck are why the BO has no idea who Hiromitsu is. Yeah, it’s one thing to get genuinely outsmarted, but another when one party seems to be uncharacteristically lacking in common sense or their expected intelligence/knowledge level seems to have dropped. You have to find a way to respect the defeated party’s common sense, knowledge and intelligence, while making it clear that they were simply outmatched on a mental level by the victorious party. So, I've been watching the videos of Struglez, and I kind of like his analysis on things, plus it really helps that he's also access to things, like the Super Digest Book. As a consequence, I agree that Akai is better than Rei because he doesn't get his judgment clouded by emotions. Having said that, manga, compared to literature is still a show, not tell medium. In the Scarlet Saga, Akai outright states, that learning his nickname being zero didn't leave many possibilities in finding out who he is... except that's a plot contrivance. On what did Akai base the fact, zero is meant in Japanese? Even if it's meant like that, would it not be more natural to think Japan's pride, the Mitsubishi Zero, because he's just as sharp? Akai is this world's Batman, greatest detective by convenience, and yes, I am saying that the other DC doesn't do much with Bruce being a detective. Anyhow... key information needs to be solid and preferably not by exposition. I admit I do fault Sensei for falling for his own creation, and using weapons-grade handwavium when it comes to explaining away, that Sharon is both in the past and the present a heartless attempted child murderer, and not the "Angel, please don't step into our world" tortured soul. The fact of the matter is, there can only be two outcomes: one, Rum dies before learning that Kudo is alive, or two, he learns Kudo is alive and the story ends with everyone involved dead. There's no turning him. If Rum were someone who's semi-constantly present, the danger is 90% he figures out without Bourbon, that Kudo is alive, hence why I'm convinced it's the sushi guy. He's also the only character who's prevented from meeting Shiho and couldn't see Sleeping Kogoro in action, just like Rei and Sharon. I also admit if I were to write a story like this, the first drug the Miyanos developed would be different from what Shiho created. It'd be a deliberately sabotaged product for Karasuma who forced Mary to take it, and the reason she's hiding out with Sera would be that she's constantly yo-yo-ing between an adolescent and an adult form, and to Hyde her other appearance, she'd play the role of Rumi, just to be close to Conan and keep an eye on him. Rumi's anger toward Kuroda would be explained with Mary figuring out that Kuroda is Tsutomu, and it stems from her resentment of him leaving their kids behind for the mission. shinichi1977 wrote: I admit I do fault Sensei for falling for his own creation, and using weapons-grade handwavium when it comes to explaining away, that Sharon is both in the past and the present a heartless attempted child murderer, and not the "Angel, please don't step into our world" tortured soul. that was never something that needed to be explained away, because that was never an established 100% thing. Vermouth was certainly an attempted child murderer, but "heartless" is something else entirely. The Teitan High school ghost case clearly established that her personality is not as clearcut heartless/evil as she acted as in front of Jodie. Gosho's aim was to establish a carbon copy of Fujine Miko, by cutting her in half, except she never did the things Sharon does or attempted to, many of which came after she was saved. My explaining away here means that Gosho ignores the clearer sociopathic ways of the character he created for artificial redemption, where she deserves none. Heck, she convinced Rei to give her Ai's contact info so she can terrorize her on the train. That's the work of a twisted mind beyond the Moral Event Horizon. There shouldn't be any ambiguity about it, but breasts I'm guessing, and they're always a powerful argument. If Gosho had 4 or 5 writers under him for compartmentalized character development, some of the info we know about the organization would not be contradictory. I so will not be surprised if it turns out Rei meant to say the others don't know Sharon is Karasuma's daughter, only weakening further the original badass image he created.